Your knees and hips are your largest joints. They support your body’s weight and must work in close coordination to provide the mobility most people take for granted, until injury, arthritis, or other problems interfere. Joint replacement surgery is a popular treatment option for those with severe, debilitating arthritis that causes significant pain or greatly limits their ability to move. As we age we become more sensitive to and aware of the functioning of our knees and hips. The word age here is context sensitive. If you are above 35 it applies to you. Exercise is more than just a good health habit; it’s also a specific and effective treatment for many knee and hip problems. Strength in the muscles around a damaged knee or hip can help support that joint by taking over some of its responsibilities. For example, your hips have to do less work to support your body weight if your quadriceps, gluteals, hamstrings, and abdominal muscles are stronger. A strong quadriceps can take over the shock-absorbing role usually played by the meniscus or cartilage in the knee. Harvard Healthbeat said that the proper balance of strength in the muscles can hold the joint in the most functional and least painful position. With any knee or hip problem, the first muscles to lose strength are the largest antigravity muscles, the quadriceps and gluteals, so an exercise plan for any injury is likely to focus on these. 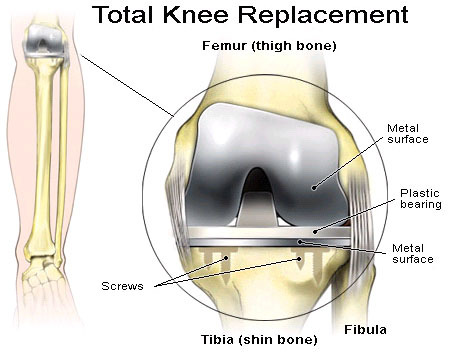 WebMD said, “Using data from joint replacement cases in the U.S. from 1997 and 2004, researcher Sunny Kim, PhD, with the Robert Stempel School of Public Health at Florida International University, analyzed the increase in the number of surgeries and their cost.